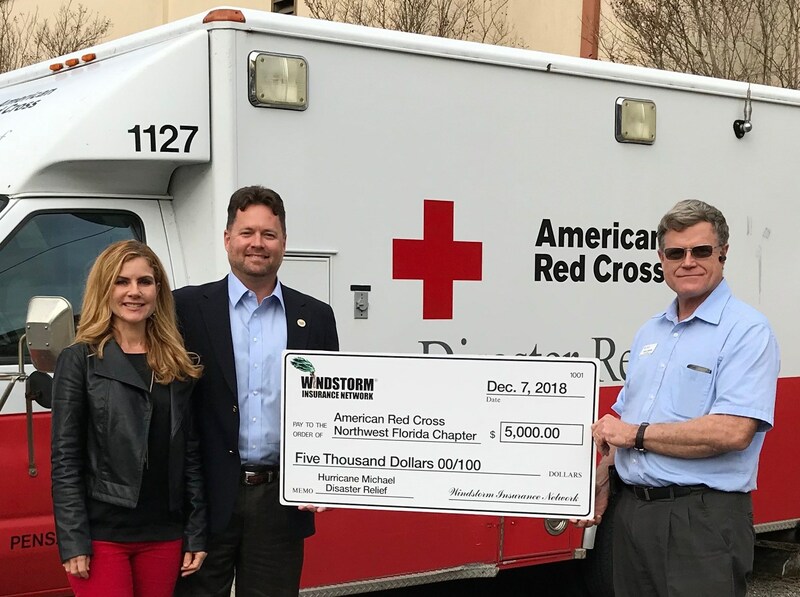 ​Two months after the Florida Panhandle was impacted by ​near category 5 ​Hurricane Michael, WIND presented the Northwest Florida Chapter of the American Red Cross with a $5,000 check ​ for disasater​ relief efforts. Here's ​a report on the ARC ​recovery ​as well as a video on their ​relief efforts. In October 2017, WIND contributed $20,000 to various charities to help people and our four-legged friends. The Windstorm Insurance Network, Inc. donated $13,400 to the Oklahoma City, OK Chapter of the American Red Cross to support disaster relief efforts in the aftermath of the devastating and fatal tornadoes that hit Moore, OK on May 20, 2013. “The membership of the Windstorm Insurance Network is pleased that it can offer financial assistance to the victims of the devastating May 20 tornado,” said WIND President William “Bill” Berk. The Windstorm Insurance Network is the first educational member organization for windstorm claims industry professionals. It was formed in 1999 with the goal of bringing a diverse industry group together to discuss and review windstorm-related insurance issues and concerns. As an organization, WIND will match members’ donations up to $15,000 for disaster relief for the Moore, OK tornado, so please give, if you are able to help those less fortunate and in need. Donations will be sent to the American Red Cross local Oklahoma chapter. We were all saddened and sickened by the images of the tornado devastation and loss of life in Oklahoma. I was reminded of how we have been involved both personally and professionally in so many similar catastrophic losses over the 14 years since WIND was formed. 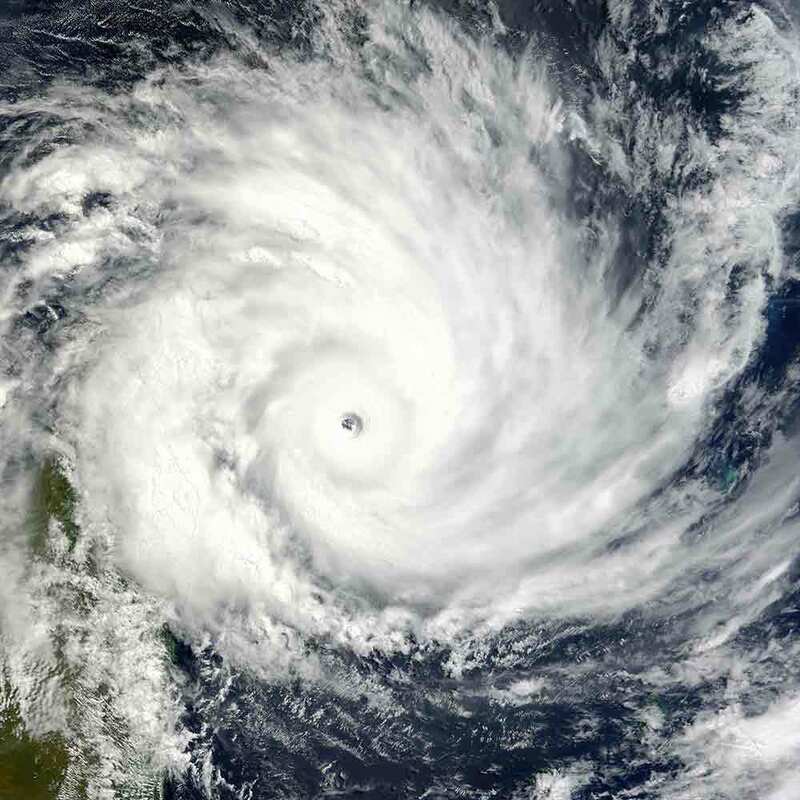 Just last year, we saw Sandy strike the Northeast; before that, the floods that overtook Nashville; in 2010, it was the earthquakes that shattered Haiti; and in 2008, Hurricane Ike devastated the Texas coast. In 2007, we saw tornadoes cut a swath across the center of Florida, and none of us can forget the images imprinted in our hearts and minds by Hurricane Katrina, just one year after multiple hurricanes struck Florida in 2004. The devastating list of major weather events goes on and on. As a member of the Windstorm Insurance Network, you should be proud of how we have responded over the years. In all of these instances, WIND’s members have stepped up and helped the affected areas rebuild. Our membership has donated over $200,000 to the victims of these natural disasters. I am writing to you, as a WIND member, for your help in providing financial aid to the victims of the Oklahoma tornado. WIND has done it in the past, and I know we can do it again. As an organization, WIND will match members’ donations up to $15,000, so please give, if you are able to help those less fortunate and in need. Donations will be sent to the American Red Cross local Oklahoma chapter. By clicking on the donation button below, you can make an immediate contribution by electronic funds or credit card via PayPal to WIND’s member matching fund for OK Tornado Relief Donations. Or you can simply send a check made payable to the Windstorm Insurance Network, Inc., and mail to WIND, 2929 Langley Avenue, Ste. 203, Pensacola, Florida 32504. Please note “OK Tornado Relief Donation” on the check. Unless otherwise advised, WIND will list on our website and social media sites all members/companies that send donations to assist the tornado victims. Thanks again for stepping up! Summer 2012: WIND is again pleased to continue to fund our Windstorm Insurance Network, Inc. Scholarship Fund at FSU’s College of Business/Risk Management. Our recent $5,000 donation will fund scholarships for qualified graduate and undergraduate students majoring in Risk Management. WIND members with qualified dependents are asked to apply as well, as additional preference is also given to students affiliated with WIND. To qualify an eligible student must have a 2.5 GPA or above and must be in good standing with the College of Business. Consideration is also given to applicants with financial need, especially greater consideration will be given to scholarship, leadership, character and community service. WIND contributed $5,000 to the Windstorm Insurance Network, Inc. Scholarship Fund at FSU College of Buiness/Risk Management. Qualified graduate and undergraduate students majoring in Risk Management are eligible to apply for the scholarship. WIND members with qualified dependents are asked to apply as well, as additional preference is also given to students affiliated with WIND. To qualify an eligible student must have a 2.5 GPA or above and must be in good standing with the College of Business. Consideration is also given to applicants with financial need, especially greater consideration will be given to scholarship, leadership, character and community service. of the American Red Cross. TUSCALOOSA, Ala. May 16, 2011 — The Windstorm Insurance Network, Inc. (www.windnetwork.com) donated $25,000 to the Tuscaloosa, Alabama Chapter of the Salvation Army and West Alabama/Tuscaloosa Chapter of the American Red Cross to support disaster relief efforts in the aftermath of the devastating and fatal tornados that hit the area on April 27, 2011. “The membership of the Windstorm Insurance Network is pleased that it can offer financial assistance to the victims of the devastating April 27 tornadoes,” said WIND President William “Chip” Merlin, Jr.
Mer​lin, along with WIND Executive Director Michelle Griffin, presented each organization $12,500 checks in Tuscaloosa to Major Steven Morris, Metropolitan Washington DC Area Commander, and Commanding Officer Major Cherry Craddock of the Tuscaloosa, Alabama Chapter of the Salvation Army; and Executive Director Oscar Barnes and Development Director Bev Leigh of the West Alabama Chapter of the American Red Cross. Spring 2011 FSU undergraduate student recipients of the WIND Scholarship recipients are David Flowers, Dominique Reed, Brenae Robinson, and Ashley McCreadie and graduate students Sonia Casablanca and Sarah Logue. WIND is pleased to announce the expansion of our WIND Scholarship Fund at Florida State University’s School of Business/Department of Risk Management. WIND has pledged $25,000 annually to qualified graduate and undergraduate students majoring in Risk Management at FSU. WIND members with qualified dependents are asked to apply as well, as additional preference is also given to students affiliated with WIND. To qualify for a scholarship an eligible student must have a 2.5 GPA or above and must be in good standing with the College of Business. Consideration is also given to applicants with financial need, scholarship, leadership, character and community service. The Spring 2011 recipients are undergraduate students David Flowers, Dominique Reed, Ashley McCreadie, Brenae Robinson; and graduate students Sonia Casablanca and Sarah Logue. WIND is pleased to support the insurance industry and future professionals. WIND contributed $5,000 to the Windstorm Insurance Network, Inc. Scholarship Fund at FSU College of Buiness/Risk Management. Currently, $5,000 is given annually to qualified graduate and undergraduate students majoring in Risk Management. The next FSU scholarship award will be announced in November 2010. WIND members with qualified dependents are asked to apply as well, as additional preference is also given to students affiliated with WIND. To qualify an eligible student must have a 2.5 GPA or above and must be in good standing with the College of Business. Consideration is also given to applicants with financial need, especially greater consideration will be given to scholarship, leadership, character and community service. From Left: WIND Executive Director Michelle Griffin, WIND 2010 Conference Chair Michael Ruskin, 2009 WIND President Art Newman, FSU Professor Cassandra R. Cole, Phd, FSU undergraduate scholarship recipient Wesley Baker and WIND Board Member Lenox Godfrey. Not pictured is graduate student recipient Lori Badenhop. WIND responds to Haiti Earthquake: On behalf of its members and Board of Directors, WIND has donated $7,500 to the Clinton Bush Haiti Fund and $7,500 to the American Red Cross Haiti Relief Fund. WIND established the Windstorm Insurance Network, Inc. Scholarship Fund at the College of Business/Risk Management at Florida State University.Currently, $5,000 is given annually to qualified graduate and undergraduate students majoring in Risk Management. WIND members with qualified dependents are asked to apply as well, as additional preference is also given to students affiliated with WIND. To qualify an eligible student must have a 2.5 GPA or above and must be in good standing with the College of Business. Consideration is also given to applicants with financial need, especially greater consideration will be given to scholarship, leadership, character and community service. WIND President Patrick McCrink (left) along with WIND Vice President Art Newman presented the WIND donation check to Galveston County Unit Director Irma Ortiz of the American Red Cross. WIND President Patrick McCrink (left) along with WIND Vice President Art Newman presented the WIND donation check to Salvation Army Commanding Officer Edna Flores in Galveston, Texas. FSU Foundation/Katrina Froeschle Memorial Scholarship Fund For FSU School of Insurance Scholarship Endowment Fund in memory of Katrina Froeschel, property insurance adjuster. August 2005: 2005-2006 WIND Board President John Voelpel presents the donation check to Jeff Froeschel, along with past president Charles Tutwiler for the Katie Froeschle Memorial Scholarship Fund. August 2004: 2004-2005 WIND Board President Charles Tutwiler presents the $25,000 donation check to the American Red Cross, along with WIND board members Rebecca Leisure and David Hisey.